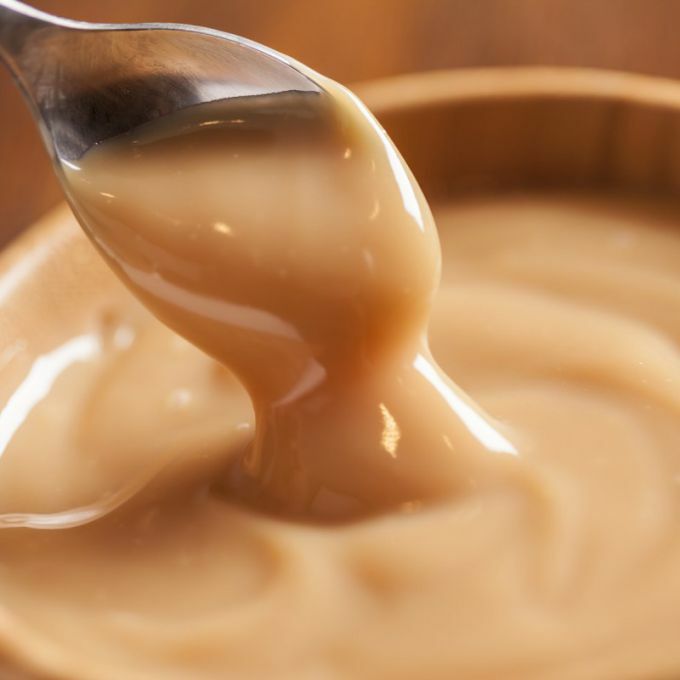 Tasty treat - boiled condensed milk, you can prepare at home. The recipe is simple, but requires time and attention. Milk should only be very fresh. The higher the fat content of milk, the condensed milk will Slivochny. Adding 1-2 tablespoons of cocoa in the cooking process, you will receive a chocolate condensed milk. In a steel saucepan with a thick bottom pour the sugar and add water. Stirring, melt the sugar to syrup. Mixing, pour in the sugar syrup the milk. Put the flame on low and continuing to periodically interrupt, cook the mixture until thick. Do not use for cooking this product is an enamel bowl. Ready condensed, tightly Packed, can be stored in the refrigerator up to several weeks. Milk can successfully replace whipped cream, then cooking time will be reduced by 30-40 minutes. Milk quickly turns into condensed milk if you increase the amount of sugar.